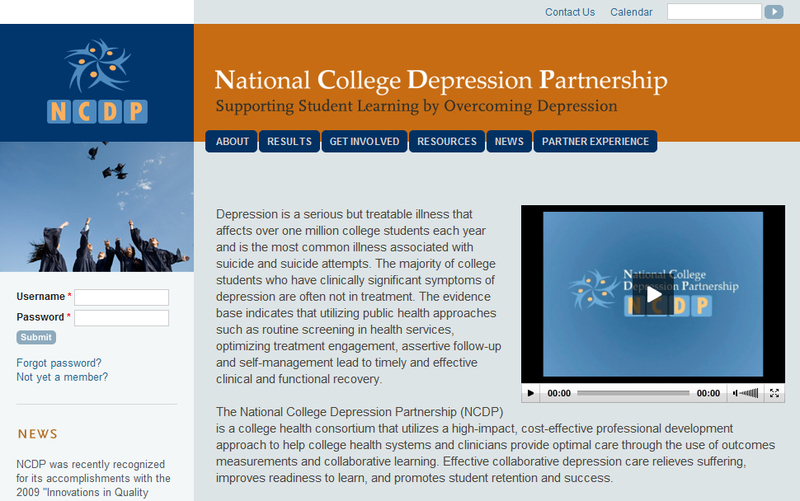 The National College Depression Project - Collaborative Action Network (NCDP) is a national healthcare quality-improvement collaborative. 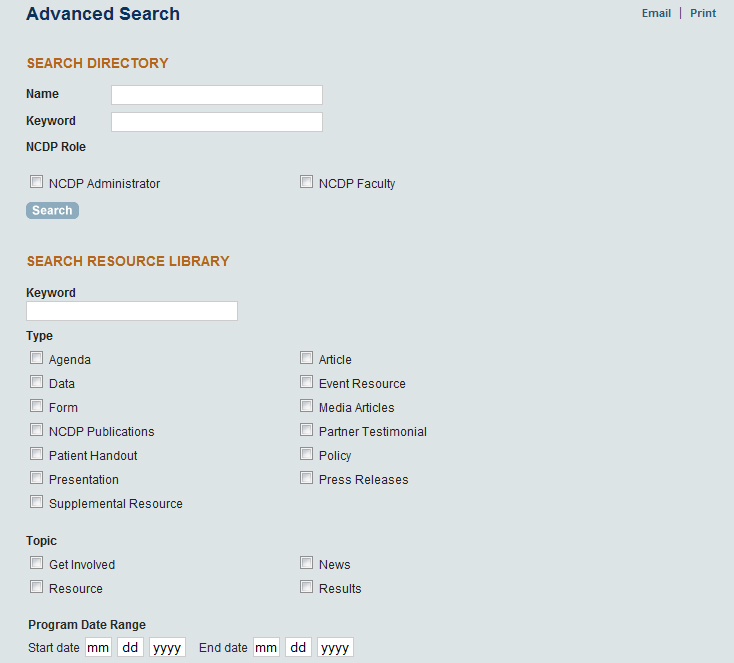 The NCDP Web site was an HTML based site, which was outdated and was difficult for the Webeditors to manage. Staff had to rely heavily on the Webmaster for coding HTML and publishing content. 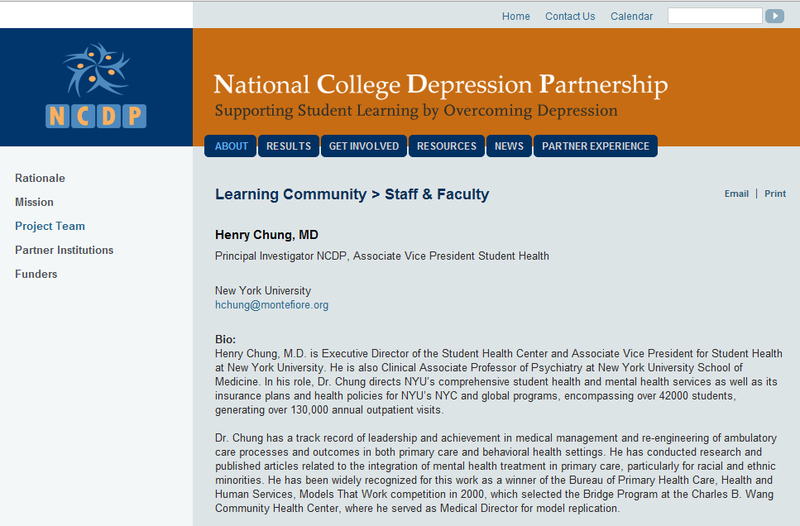 NCDP also needed a private site, available to only to faculty and members. 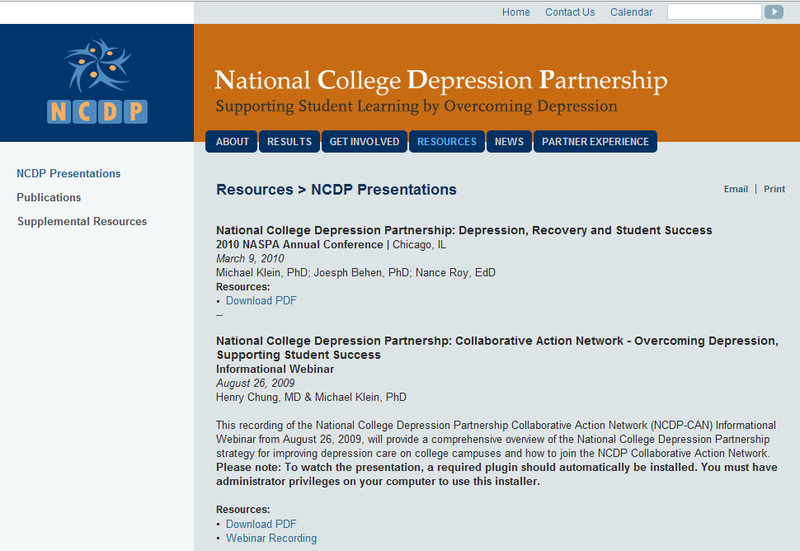 DPCI implemented the Drupal Web content management system to provide a CMS-driven public Website and a password-protected online resource center that were easy to edit and update with a wide variety of content. DPCI implemented a Website architecture for the public and private site using Drupal 6.x. Both sites were implemented to share the same login credentials with different roles and permissions on each site to control access. 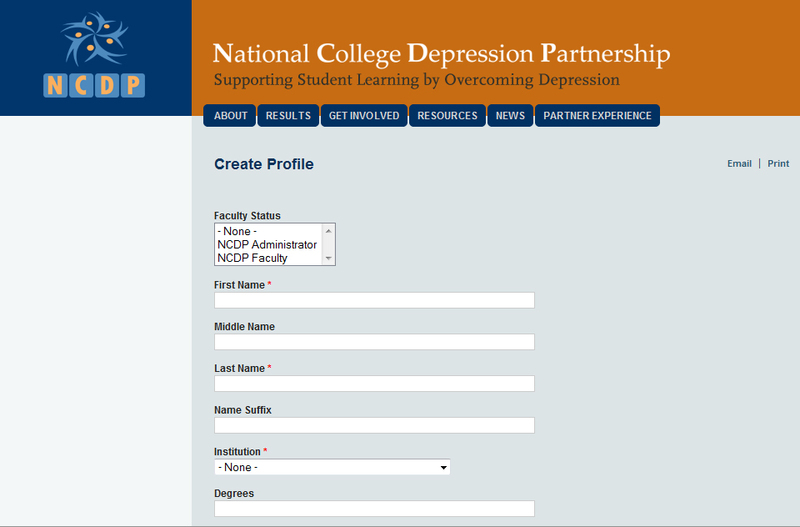 Authorized staff members have control of the site's maintenance, including updating and editing content, without needing technical expertise in HTML.